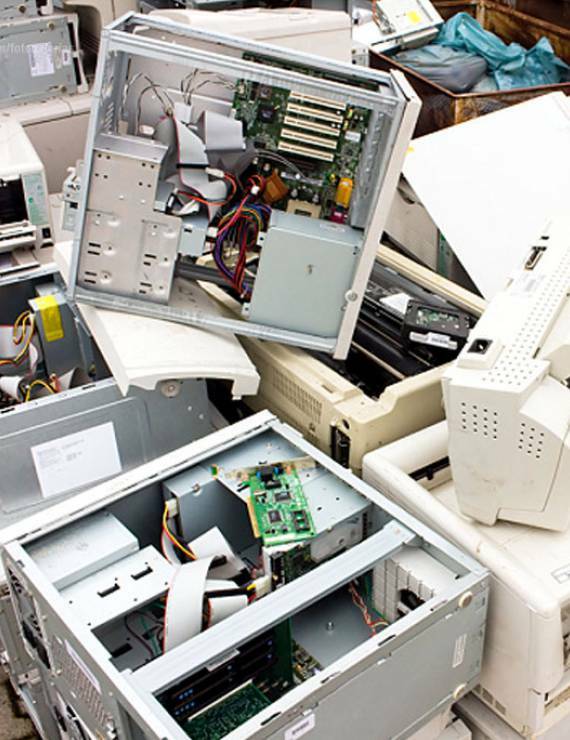 What is Waste Electrical and Electronic Equipment? WEEE is electrical or electronic equipment that has come to the end of its ‘user life’ and covers a range of equipment. Those items that use electricity, usually connected via a plug or battery, are included in this category. WEEE is classified as either household or non-household and, up until recently, has not been recycled. Some Waste Electrical and Electronic Equipment (WEEE) are classified as hazardous waste. This is because it contains certain components or substances which can be harmful to the environment and the community if not handled and disposed of correctly. Fridges, freezers – containing ozone-depleting substances. Computer monitors – containing cathode ray tubes (CRTs). TV’s – containing cathode ray tubes (CRTs). Batteries – containing nickel cadmium. We handle many types of hazardous WEEE responsibly and compliantly. Our commitment to compliance and standards provides you with the peace of mind that all your hazardous waste is being dealt with in an environmentally friendly manner. We use only licensed Approved and Authorised Treatment Facility Authorised by EPA. We guarantee that data will be wiped and cleaned to prevent sensitive and confidential data from going to third parties. We provide office clearance service including furniture disposal, secure shredding, and other WEEE items collections.